Communications & Power Industries will now be providing telemetry, tracking and command (TT&C) antenna systems to the global telecom engineering, satellite communication service provider, SkyVision. The proposed systems will be used with the GiSat-1 Ka-band satellite which is currently under-construction. 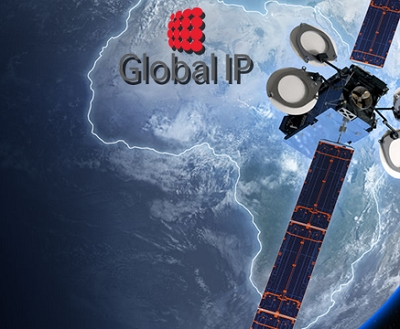 For the joint project, the CPI ASC Signal Division will provide eleven 9.4-meter antenna systems to SkyVision for use with its satellite platform on the advanced satellite from Global IP. This will serve the sub-Saharan Africa region, providing 150 Gbps of capacity for broadband to a region of more than 800 million people in 39 countries. Together, the two firms will install and deploy the antenna systems at 11 gateways located throughout Europe. CPI ASC Signal Division's TT&C Antenna Systems will help maintain peak performance of the satellite while it is in orbit. The antennas feature advanced technologies, including the company's patented Sub-Reflector Tracking (SRT), which enables the antenna to track the satellite to within 1/1000th of a degree without moving the main reflector, providing not only greater accuracy but reduced operating and maintenance expenses. The SRT technology is paired with an industry-leading monopulse feed system to provide inherent redundancy support. These technologies, combined with an ultra-precise antenna drive system and CPI ASC Signal Division's unique adaptive thermal management system, deliver a new standard in tracking accuracy and performance in dynamic environmental conditions. Delivery and installation of the antennas is expected to begin in mid-2018 and to be completed in 2019.